Rustic slate house numbers are perfect for a natural look. 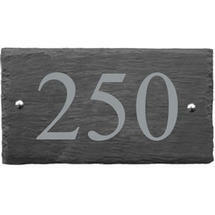 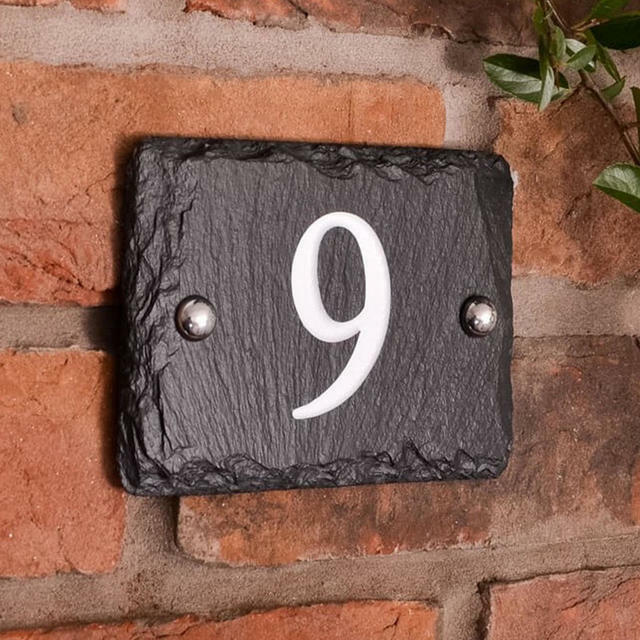 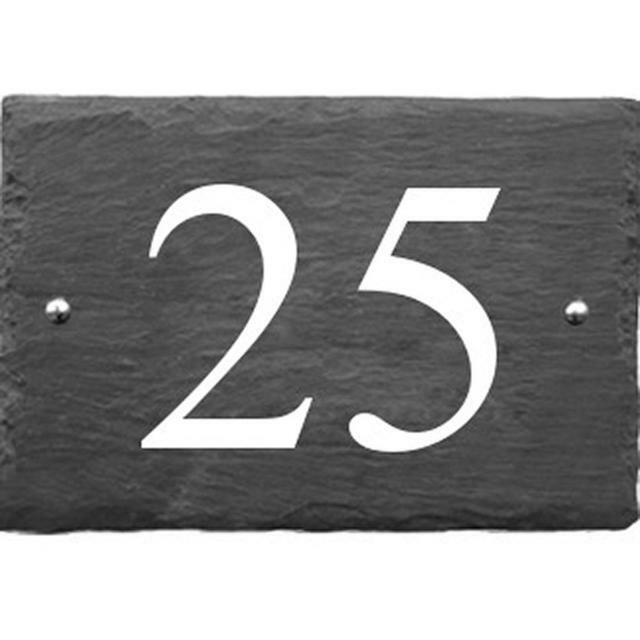 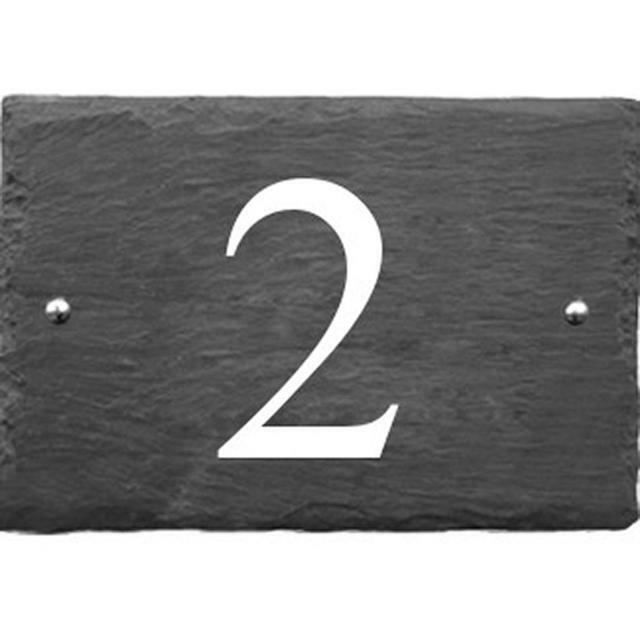 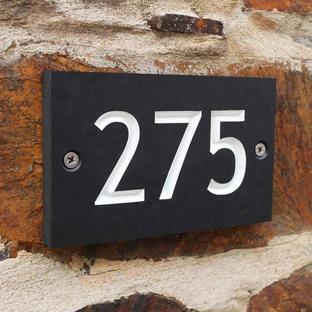 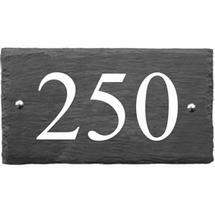 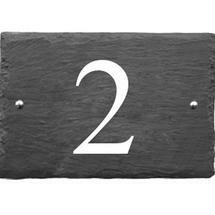 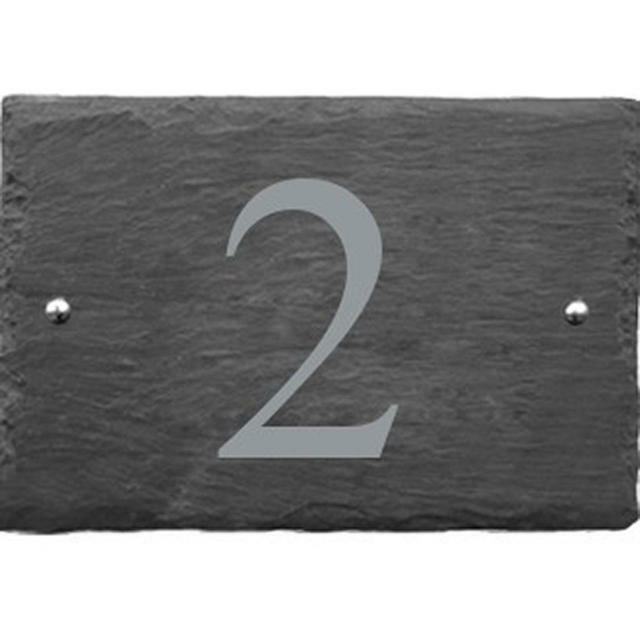 With these natural slate house number signs your house number will be sandblast engraved into the slate. 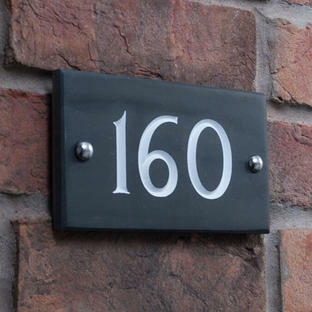 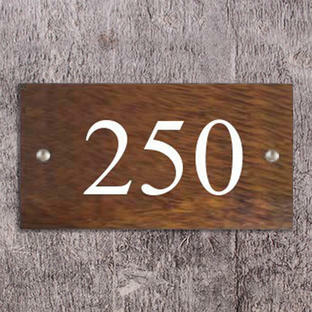 The sign can then either be left unpainted as standard for a natural, yet beautiful effect or if you prefer there is the option to have your house number handpainted in white after it has been engraved. 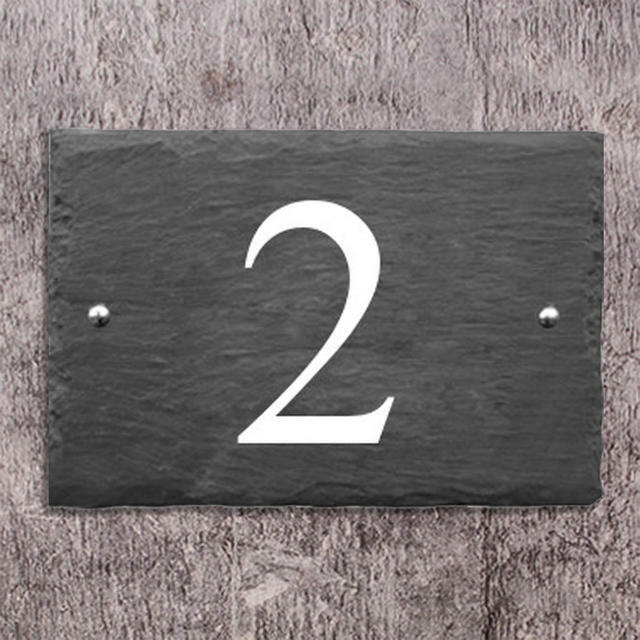 There is a choice of 3 different fonts. 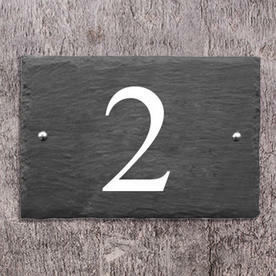 House number on line 2. 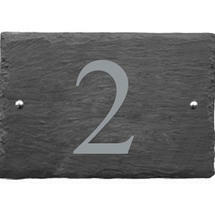 Also available in rustic slate are one, two and three line house signs. 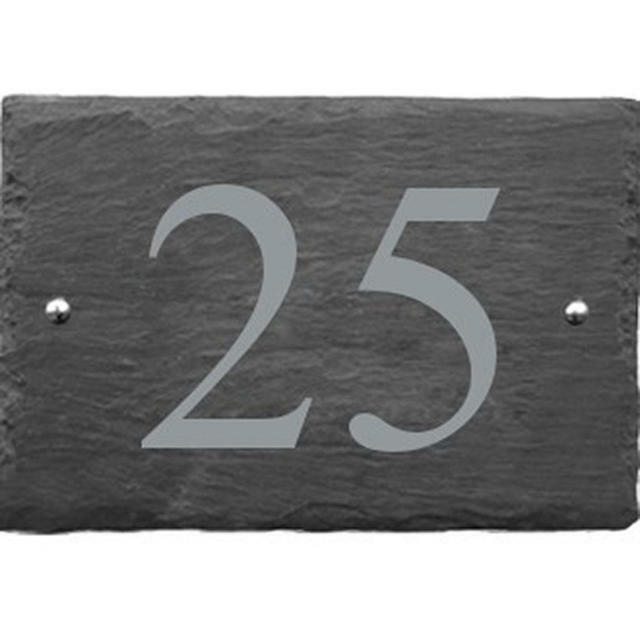 Please note that this is a natural slate product and every piece of slate is unique because of this there is some tolerance on the size and weight of your sign to be expected.